Standing by a white trailer, a middle-aged man with paint on his clothes takes a bag of food; gratitude and happiness filled his face. “Gracias,” the man said to Jim Manner, a volunteer driver for Meals on Wheels program in Rexburg. The first man speaks more Spanish. “No comprehendo,” Manner said. Manner said the middle-aged man was found on the street by Walmart. He was put on government assistance and has been in the Meals on Wheels program for almost a year. The Meals on Wheels program in Rexburg provides meals delivery and enables senior citizens to stay at home without the worry of going out. They deliver about 50 meals in Madison County ever day, five days a week. 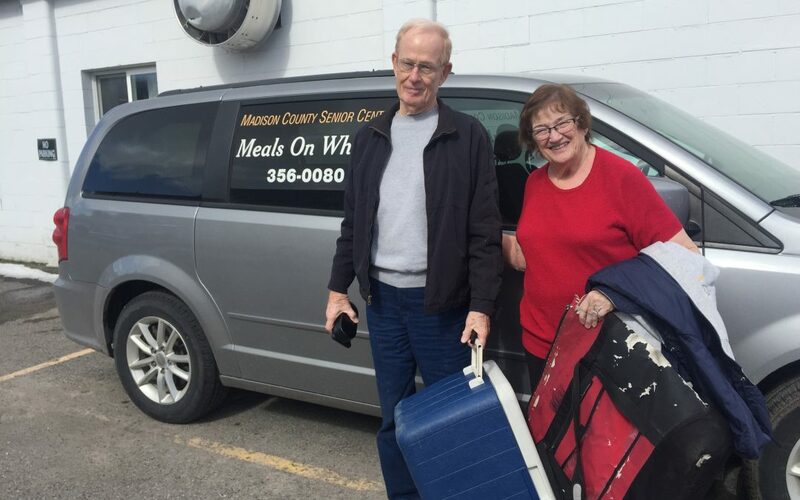 For almost two years, Manner delivered meals three days a week from the Senior Citizens Center to the elderly who signed up for the meal delivery. According to the Meals on Wheels website, nearly nine million senior citizens in the States face the threat of hunger, and 83 percent of low income food insecure senior citizens are in need of food delivery. According to the U.S. Census, 6.7 percent of the population in Madison County needs food delivered. Janette Lund, a worker at the Rexburg Senior Citizen Center, said most elderly stay in the program until they pass away. Lund said she almost cried when she thought about how Meals on Wheels program benefits people like her parents. Lund said each county has its own Senior Citizen Center that offers Meals on Wheels program. Every morning from Monday to Friday, Lund will go to work around 7 a.m. and start preparing meals that will be delivered at 10:30 a.m. The meal usually consists of an entrée and meat. At 12 p.m., Lund will then prepare the same food to the public that comes in to the senior center. Lund said the Meals on Wheels program heavily rely on the volunteers to deliver and prepare the meal. Most of the volunteers stay for many years. Manner said he saw the flyer from the city two years ago about the program looking for volunteers, and he and his wife decided to sign up for it. “You develop friendship with them (the elderly),” Manner said. Manner not only deliver meals to the elderly, he also delivers cookies to his fluffy friends. Manner always prepares some dog food in the car so when he delivers the meal he can also feed the dogs he sees. Manner retired from working at IBM three years ago and moved to Rexburg with his wife to be with his son and his family. When he is not delivering meals, he likes to quilt and learn about computer coding. Manner said there was one incident that he found out the elder he deliver the meal to pass away in the basement. There are couple incidents Manner said that he needed to do more than meal delivery. Therefore, there are usually two volunteers when delivering the meal, in case of emergency. Manner usually delivers the meal with his wife. 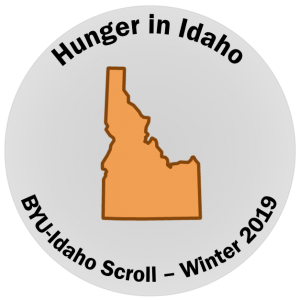 Manner would drive and deliver the meal to the doorstep, while his wife sit in the back of the car making sure they are giving out the right amount of boxes of food. Manner said there is no general rule on who can sign up for the program. Some elderly were living in poverty and some are young adults who are sent to the program by the government.